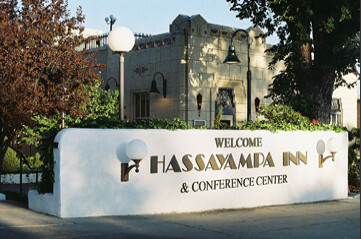 The Hassayampa Inn's Tradition of Hospitality dates to its opening in November of 1927. Set in the romantic mile high mountain setting of Prescott, Arizona, it is a part of a fabled history. For nearly a century, the Hassayampa Inn has been a place to escape the stresses of busy urban life, a place for a romantic getaway, and an oasis dedicated to restoring balance, within the picturesque setting of Northern Arizona. 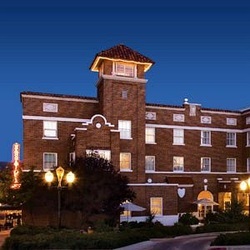 The Hassayampa Inn's carefully restored lobby and décor, sixty-seven unique and stylish rooms, and celebrated restaurant, the Peacock Dining Room, offers each guest a romantic journey to an era of timeless elegance. The Hassayampa Inn offers a decades long tradition of dedication to personal service, coupled with modern amenities for the business traveler such as free wireless internet access and business center. The Hassayampa Inn has a Pampered Pets Program. At the Hassayampa Inn, our event planners and staff will help your class execute the perfect class reunion by overseeing every detail from the catering and decorating of the venue while providing attentive guest services and luxury accommodations for everyone in your party at our hotel.